I’ve been getting a lot of comments recently about shooting in cold weather. I’m not shy about saying that I LOVE cold, snowy weather, but I’ve also learned to take the preparative steps that make time outside in winter immensely more comfortable. An enjoyable winter shoot really comes down to ensuring that you have adequate clothing for the conditions, and that you know how your camera gear responds to the cold. There are two demons here that we need to be concerned with…temperature and moisture. When in the field, the bigger of the two problems is the temperature itself. Cold weather simply zaps energy from the batteries. I can go a whole weekend on two batteries in the summer, but the same batteries can barely last a sunrise in winter. A couple of things that I’ve discovered along the way have saved me significant anguish though. First off, a dead battery in winter is rarely a truly dead battery; it’s usually just a cold battery. Sticking this battery in an interior pocket, or as close to the skin as possible will usually bring it back to life. Rotating warm batteries is key here. Additionally, I’ve seen photographers duct tape or rubber band chemical hand warmers to the battery compartment. While I don’t think it helps too much…it couldn’t hurt! Also, at REAL cold temperatures (below -10F), increased viscosity of the grease in the lenses can cause strain on the auto-focus motors. At this point, it may make sense to turn off the auto focus and eyeball it close, then turn the switch back off and only let the system fine tune. Moisture causes a few problems with winter camera operation as well. Whenever you bring the camera from out in the cold back into your car or a building, you run the risk of the entire camera ‘fogging’ up. It works on the same principal as a cold pop can on a hot summer day, except the entire temperature scale is skewed downwards thirty or forty degrees. There is an easy way to prevent this from happening though. By simply putting the camera in a dry sack (or ziplock) while still outside, and letting the camera acclimate to the indoor temperature in the bag, you will stave off condensation. Another consideration to deal with while using the camera in winter is your own breath. Looking through the viewfinder will put your warm breath dead center on your camera, causing large amounts of frost to build up on the camera back. A face mask helps eliminate this…and I’ve gone as far as breathing through a large plastic kids bendy straw to keep ice off my LCD. Lastly, moisture can come from precipitation itself. In winter, wind driven snow can find its way into every seam, seal and switch in your camera. Fortunately, if it is below the freezing mark, this can just be brushed off/out. Protecting your camera from the heat of your body will make removing snow easier. When the camera is cold and it’s snowing…keep it cold. Part II will cover how to keep yourself comfortable when shooting! Now that your camera is as weather proof as possible, you need to focus your attention on your comfort while shooting. It starts with advise from your mother when growing up. Dressing in layers is the best way to keep yourself comfortable. Unfortunately the layering idea gets a bad rap from movies like ‘A Christmas Story’ (I can’t put my arms down!!!). Modern fabrics really have come a long way since the 50’s, and a trip to a high end outdoors store will increase your comfort exponentially over what’s in your closet. Lets start with the core and head. Typically, the core isn’t what limits my enjoyment shooting, it’s hands and feet, but the core is where you lose the majority of your heat, and energy. When I head out, I have a minimum of three layers over every part of my body. I wear polypro longjohns, fleece or wool insulating layers, and either soft shell or gore-tex outer shells. These fabrics provide a windbreak as well! On really cold days I’ll add a layer of down. On my head, I’ll often layer as well, starting with a neck gaiter, a balaclava, a poly or windproof fleece hat, and a fur hat. Ski goggles complete the ensemble on windy days! Feet are next on the order of importance for me. My shoe closet is a bit overkill, but I like options in winter. I have mountaineering boots, ice fishing boots, insulated hiking boots, and overboots. Each has their role depending on activity, but a basic pair of thinsulate winter boots gets you in the field. Double up on wool socks, and don’t tie them too tight! A carefully placed chemical heat pack on top of the foot, between your ankle and toes goes a long way. The real secret though is insulating your feet from the ground! On real cold days I roll an ensolite foam pad to stand on…it goes a long way. Lastly, don’t be stationary. A few jumping jacks every few minutes keeps the blood flowing to the feet! Traction and float are the last essentials on the feet, and snowshoes and microspikes alternate in importance in a typical freeze/thaw cycle! Finally, your hands…the bane of a winter nature photographer. You need to balance warmth and dexterity, which is tough to attain. Layers are again key. I usually use a windproof lightweight fleece liner, and outer glove, and an overmitt. Some camera operation can be done with the outer glove on, and some requires stripping down to the fleece liner. It behooves you to never expose your bare hand to the elements, and practicing shooting with the fleece liner before heading out in the field may seem like a silly exorcize, but you’ll appreciate it on a day where the windchills are approaching fifty below. Additionally, I ALWAYS have a chemical heat pack in my palm! Any metal objects, including tripods and some camera bodies, conduct heat away from your hands at an alarming rate. Covering these with insulation, like pipe insulation on the tripod, and neoprene on the camera grip is really helpful. The last key is acclimatization. I find that in late fall, I have a tendency to want to grab the down jacket on the first real cold mornings. Force yourself to go outside and be cold when you are not shooting. Clear off the car in the morning in a t-shirt. Walk the dog without a hat and gloves. Cold is relative. Remember how nice 50F feels in winter, and how brutal it feels in summer! With all of this layering and acclimatization, I tend to be comfortable down to ten to twenty below. Which sounds absurd to many, but I also rarely have a problem finding others to come shooting with me on the cold days. Why…because when the air is crisp, a special quality to the atmosphere seems to translate on film. And even more special lighting situations can arise in the air. Some of my favorite moments in the field have come out of the most frigid of weather. Cold. Don’t be scared of it, try it…you might enjoy it. Winter in New England conjures up romanticized scenes of perfect light snowfalls coating the trees, with a red barn and stone walls and large fields of unspoiled snow. Maybe a small stream runs through the scene with a white church steeple in the background. The reality of these scenes is that the snow rarely stays perfect for long. 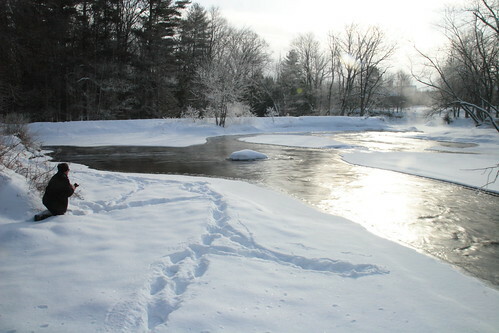 Heck, in the real dead of New England winter, the streams are frozen over and the snow is too dry to stay in the trees. 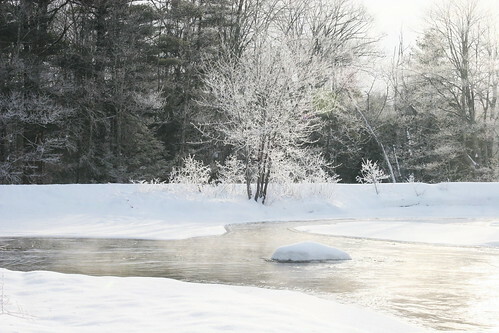 Here’s the truth to these classic New England scenes. They aren’t ever truly perfect. 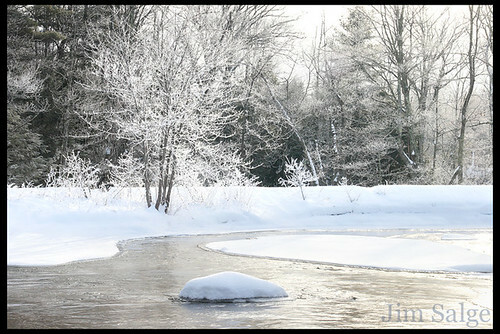 Photography in winter, like any season, is finding the best conditions possible, and making them work for the scene. When you arrive at your nearly perfect scene, the challenge becomes not screwing it up while scouting it. It’s different than in summer, in summer you can walk almost anywhere without leaving much of a trace. Winter records your every move. Move into a scene too fast, want to move back, your shot has a trace of you in it. It’s no longer pristine. No longer perfect. And thus I present this morning’s scene in three acts. The wide scouting arc. The scene. The aftermath. One of the things that I’ve set as a goal this year is to work on my control of midday light. It’s a style of photography that many have found success in, and I can’t seem to come away from with great results. The only time I really am struck by one of my midday shots is when other unique conditions exist. The good news with this goal is that I can use any midday shots to supplement my bread and butter, the golden hour shots that I work so hard to get. 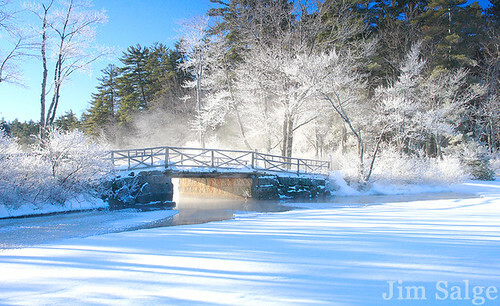 Frigid Bridge - A Midday Shot that Works Due To Heavy Hoar Frost! The golden hour is great for photography as the intensity of light is less, and therefore local contrasts are greatly reduced. The light is also warmer; whereas midday light is a cool, blue color that many characterize as uninviting, golden hour light has hues of pink and orange that bring wholly different emotional responses to images. Golden hour light is a commodity, it’s rare, and it’s cherished. I’m sure everyone has had a moment where they were completely blown away by a sunrise or sunset that stops them in their tracks. 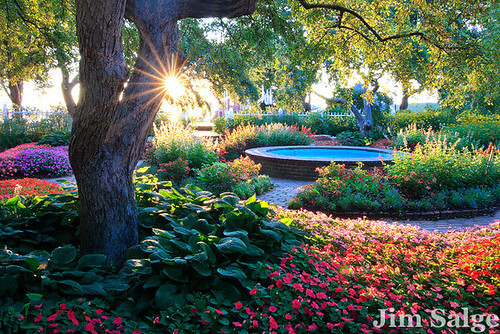 When photographing light during the magic hour, there is a strong tendency to shoot the sun itself. Unless I can incorporate the sun as a dynamic piece of the landscape, I tend to compose off of the sun, and sometimes even directly away. This technique is most successful when there are mountains to capture the longest of rays, sometimes when the sun is still below the horizon in the valleys. This Alpenglow can make the harshest mountain landscape seem inviting. Shooting alpenglow can be challenging. The intensity of the light is low, but the color is high. Additionally, the land below the alpenglow is often incredibly dark, almost requiring split neutral density filters to balance out the scene. In winter, two stops tend to do it. If you don’t have split ND filters, good strategy when shooting for alpenglow in digital photography is to overexpose, or shoot to the right. As long as you don’t clip the highlights, you can dial down back to a normal exposure in photoshop, and have a much wider range of quality tones in the final image. Predawn Glow From Conway - No light on the Mountain! I don’t understand it myself, so I certainly understand other people not understanding these feelings, but I LOVE being outside when it is below zero out. It’s not a macho thing, it’s merely a personal thing. The way the air feels and looks, and the atmospheric effects that the world can create when it gets cold are captivating to me. This weekend I had two clear mornings when the temperatures dropped to about -10F, and the light and atmosphere did not disappoint. I started Saturday morning on a hill above Conway, NH and as the light began to emerge, I saw some fog in the valley towards Eaton. 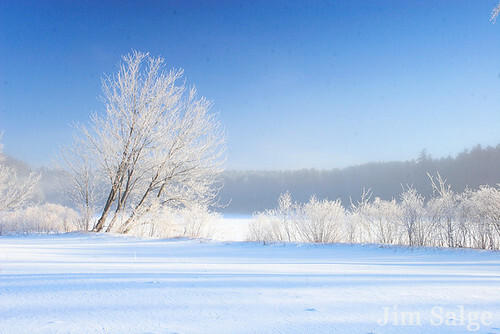 Knowing that this could in fact be ice fog, I drove down to Crystal Lake, and found myself in the most magical scene. 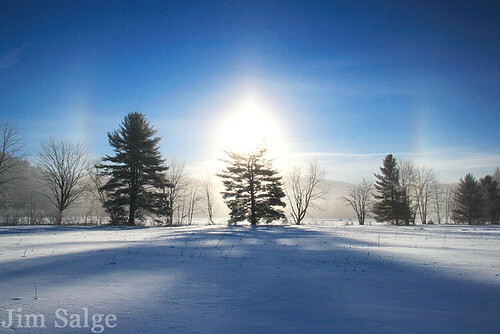 Towards the sun, the light was refracted into sundogs, prismatic effects to the right and left of the sun. They hovered in the foreground right over the lake. And lining the entire shoreline was a coating of hoar frost on all the trees. I donned snowshoes, and trudged all around the lake and the area behind the famous white church, and remained in awe for hours. This morning, I was hoping the scene would repeat itself. 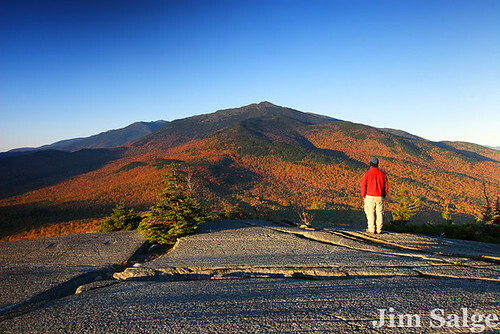 After shooting Mount Washington at dawn, I raced down to Chocorua, hoping for more diamond dust. 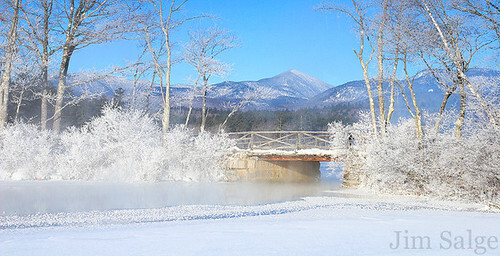 None to be found, but the hoar frost was thick and heavy around the bridge. There is enough current flowing between the two sections of lake to keep it open, and mist completed the scene. I shot until my feet said no more…it was cold after all! I’ve been told that you have a much better chance of success in achieving goals if you take time to write them down. Posting them in a public place can add even more encouragement (or pressure). So here we are, 2011, and a fresh set of four seasons to explore the wilds of New England, learn about the ecosystem, and share my views of it all. No goal sheet can begin without stating the purpose of my artistic drive. I have a passion for experiencing and learning about the natural world, and capturing the most dramatic conditions possible. To do so, I want to continue to challenge myself to experience the landscape with a unique perspective! Thanks to Larry Fay for the shot from last year! This year, I hope to focus more on the Presidential Range, as it’s where I got my start in photography, and no other location inspires me more. I love the light it captures, the terrain on the slopes, and the diversity through elevation. I dream someday of publishing a book on the range, and need a more complete body of work. Some of the shots I hope for this year include…sunrise from Mount Hight, Sunrise from Mount Adams, Sunrise from Mount Clay, and Sunset from Pierce. I also need a quintessential Tuckerman Ravine shot in both summer and winter. And I haven’t shot the alpine flowers in June in a few years…and I miss it! That should keep me busy. With the unpredictability of the weather on the range, I simply must have other goals that provide easier access for changing conditions. Bogs hope to be a continued focus. 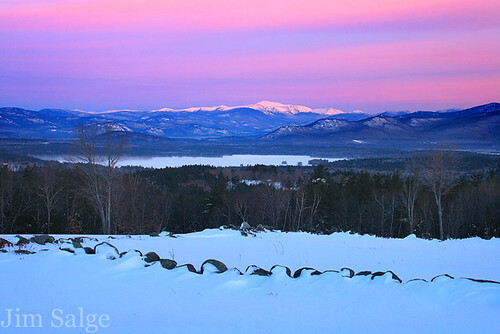 A sunrise at Saco Heath, in both spring and fall would be nice. 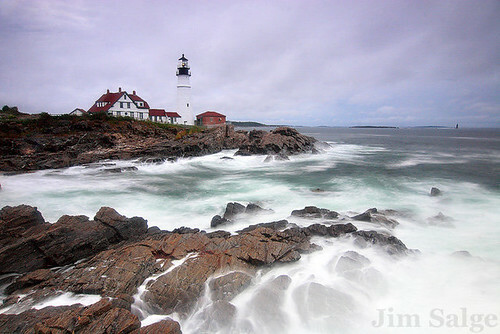 Coastlines don’t inspire me the same as mountains, but I would love a sunrise shot of Portland Head, or Camden Hills. I would like to further focus on the local landscape. 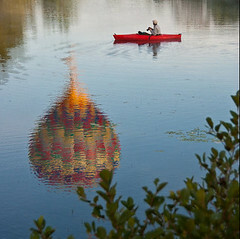 I spend so much time driving across Southern NH with my new job, I’d like to budget time to explore during the commute. I’d also like to challenge myself to control midday light as I’ve learned to during the golden hours in the morning and evening to diversify my portfolio. Professionally, I’d like to expand my business model to be able to offer tours and/or workshop instruction. To accomplish this, I need to research insurance and liability. Uuugghh. Lastly, beyond photography, I need to regain my fitness to make getting to some of these shots easier. My hiatus from photography during this past fall while adjusting to the new job has taken it’s toll, and I’ve pledged to get back at it. Well, that ought a do it. I’ll refer back to here throughout the year to keep myself inspired, and I’m sure new projects will creep onto the list. And, I need to make sure that the list doesn’t limit flexibility, as living beyond the moment can lead to missed opportunities. We’ve reached the end of 2010 and that means a look back at the year in photography. This year, I set out some goals at the beginning of the year for myself, and for the most part, I’m pretty happy about how those goals have been achieved. I spent a lot of time in bogs and with orchids, and got golden hour shots from Wildcat and Pierce. I got my Chocorua shot, and refocused on the Isreal River lupines. Of recent, autumn and early winter have allowed me minimal time to shoot, but I’m hoping that will change as we embark into 2011. And with that, I present my Top 10 in chronological order! 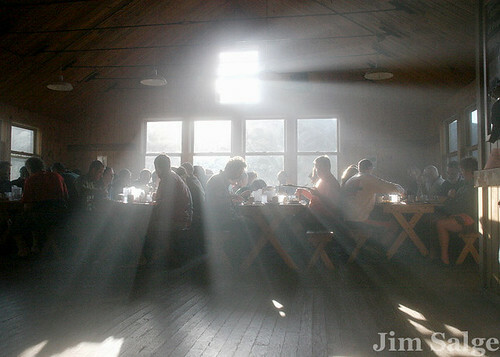 Early in the year, I led the high school outing club to Carter Notch Hut for a winter overnight. We awoke to find this guy rooting around the bunkhouses for scraps. A bit of crawling around at a low angle eventually yielded this opportunity. 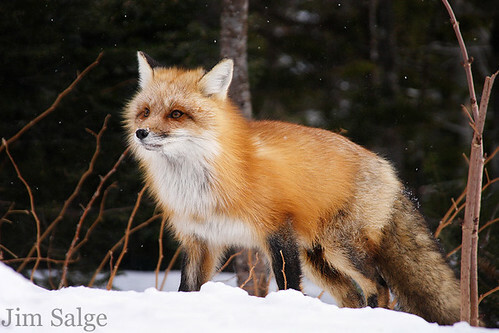 If shot a number of foxes over the years, and this is definitely among my favorite experiences and shots! 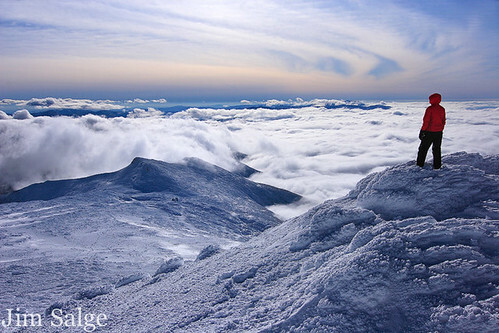 My photographic life came full circle this winter when I was afforded an assignment gig with the Mount Washington Observatory, where I started my professional interest in photography. The conditions on the day I arrived were perfect, and I was fortunate enough to catch this classic shot of an observer looking towards Lakes of the Clouds Hut. I will be teaching a workshop at the summit in March, I’ll post details here soon. The remainder of winter, I made some nice sunrise hikes, but most I want to repeat this winter to improve the shots. 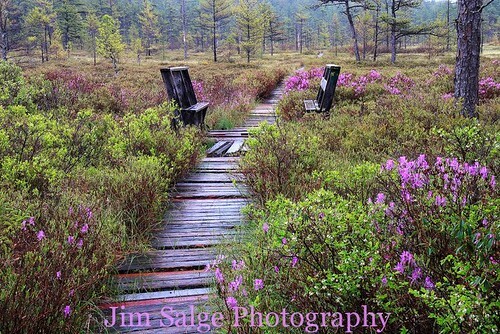 The next shot that really strikes me from the year was this rainy day at Saco Heath in Maine. What a treasure of a landscape this area is. The rhodora was perfect in bloom, and the weather ideal for a spring shot. Might go back here this spring on a clear, misty morning, but I love the feel of this one! 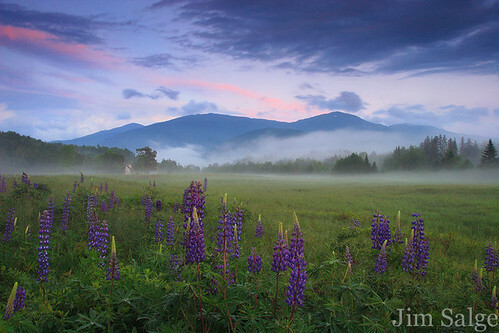 I don’t think I’ll ever tire of shooting the Lupines in Northern NH. The main area for shooting them is in Franconia, but there are fields of them everywhere north of the notches, and I found this one in Jefferson. I had just about packed in for the night, and was driving back when the sun found away to light up the highest of clouds. 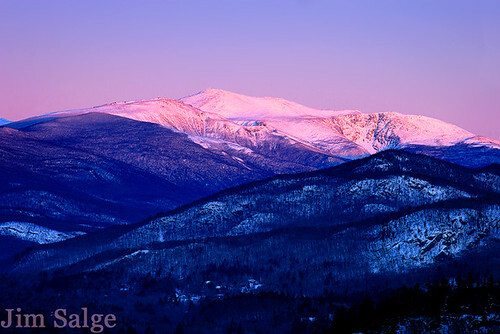 In my next post, I’ll highlight some goals for 2011, but I want to continue a personal project of views of Mount Washington. Scenes like this are why that range inspires me so much! 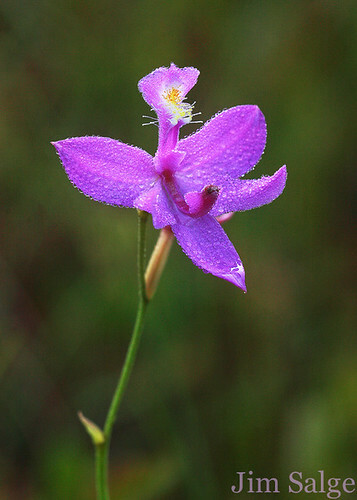 This is the second year in a row I’ve included a Grass Pink in my “Best Of” collection. Simply, it’s a beautiful flower that grows in places that are so incredibly unique, that I cherish the opportunity to shoot them every year. This was in the Philbrick-Cricenti Bog in New London, on a calm, still morning with a bit of mist hanging in the air. The breeze of course picked up soon after, limiting opportunity, but I don’t think this one was to be topped anyway! I don’t shoot many cultivated landscapes, but the gardens at Prescott Park in Portsmouth, NH is one spectacular place for gardens. I had this week circled for a while, as it was the week when the sun shone right into the park, and was fortunate enough to come away with this shot with the sun rising over the water! I had a great overnight stay at Greenleaf Hut in August, and ran up to the summit for sunrise. 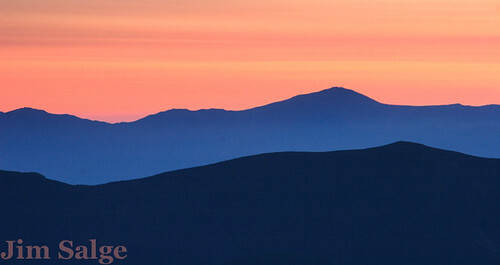 The color and tone of the sky about 20 minutes before dawn was really striking, and the ridges between the Franconia Ridge and Mount Washington had a beautiful warm/cool contrast in their gradient in color. I feel that the peace of the calm morning that I experienced on the ridge comes through in the first shot. The dramatic shot came an hour later at breakfast, when the warm coffee hit the cold air of the hut, and sun streamed in the window during breakfast. Brings me right back to all the great moments I’ve had in the backcountry of the Whites! A dramatic shot of LARGE breakers coming into Portland Head Lighthouse is on my must shoot list every year, and yet it still eludes me. This storm was no exception, as the waves generated by Earl just lacked the punch we expected upon arrival. Fortunately, with a bunch of photographers there that morning, we found mutual inspiration, and I slowed down the exposure to capture this neat frame. I like that it looks and conveys a feeling of power…without actually being all that powerful! One of the most photographed scenes in New England, and I don’t have a decent autumn shot of it. And not for a lack of trying…I’ve been to the lake well over a dozen times, in all conditions, trying for the perfect shot. And every time I went there, it wasn’t a place I could shoot elsewhere…so I was getting rather frustrated. Finally, this October, all the conditions came together! 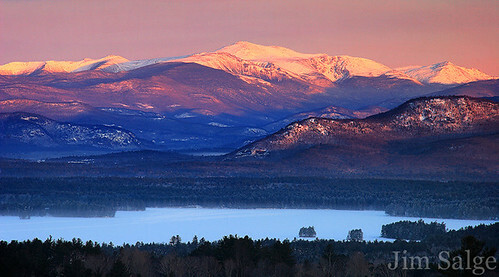 My Chocorua Shot! Thanks for taking this journey through the year in pictures with me! To a safe, happy and beautiful 2011! My drive to capture the beauty of New England is the result of my desire to share my view of the natural world. This autumn though, compromise had to be made between needs and wants. I wanted terribly to be out shooting, and sharing the autumn transition with the world, but I took a new teaching position for this fall, and the adjustment took its toll on my free time. The job has been a great fit, and life is settling down now, so I hope to be able to post more often, and get back to a reasonable updating schedule. In getting back, I feel the need to catch up. This autumn I focused on getting a few key shots. The number of new shots that I have to add to my portfolio will be limited, but I have am pleased with the shots I have from locations I long wanted: Pine Mountain and Chocorua Lake. 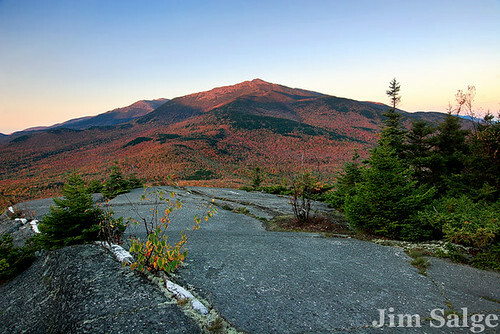 Pine Mountain is a mountain at the northern end of the Presidential Range, and has numerous rocky outcroppings to view Mount Washington, Mount Madison and Pinkham Notch from. It’s an easy hike, and the rewards are unbelievable, not only for the views, but for the sense of place and time. Gouges remain in the rock ledges preserving the motion of the last ice age, and hawks and eagles kettle overhead before their trip through the notches on the journey south. I made a few predawn hikes to this location, and finally came away with a clear sunrise, with some alpenglow on the summits and blazing foliage below. 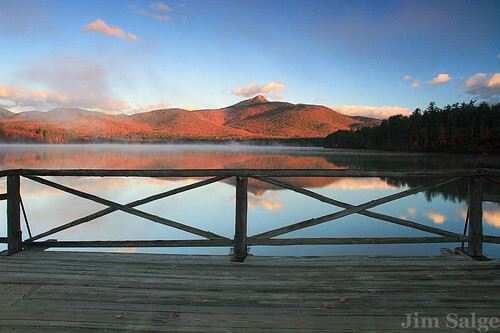 The other ‘bucket list’ shot that I finally got this fall is a misty sunrise over Chocorua Lake at peak foliage. This point is one of the most photographed views in the White Mountains, and one that is extremely temperamental in terms of light and wind. I’ve been there close to a dozen times in autumn over the years to get this exact shot, and have always been foiled. And on this day, I was almost again as the breeze picked up about half an hour before sunrise. Fortunately, the it fell off as the sun rose, and allowed for a great hour of shooting. Other trips to the Whites this fall included shots of snow-kissed Mount Washington, and some fine waterfall opportunities. I’ll be updating the website, and sharing some here and on Facebook in the coming weeks. Memories of these shots, and other autumn shots will have to last until the first snows now. Color has been stripped from the landscape, lingering only as berries in the marshes. But we’re not long now from a blanket of White, and I hope to have the time to capture and share it when it arrives. Thanks for your patience, and for coming back to read!